Our Monday has been made! Lucky magazine's editor-in-chief, Eva Chen, has announced via Twitter that Solange Knowles is the glossy's August cover girl. The "Losing You" singer looks amazing, per usual, rocking her signature halo of hair and a casual yet chic sweatshirt-and-trouser ensemble. In part that statement read that "Jay and Solange each assume their share of responsibility for what has occurred" as well as, "We love each other and, above all, we are family. We’ve put this behind us and hope everyone else will do the same." 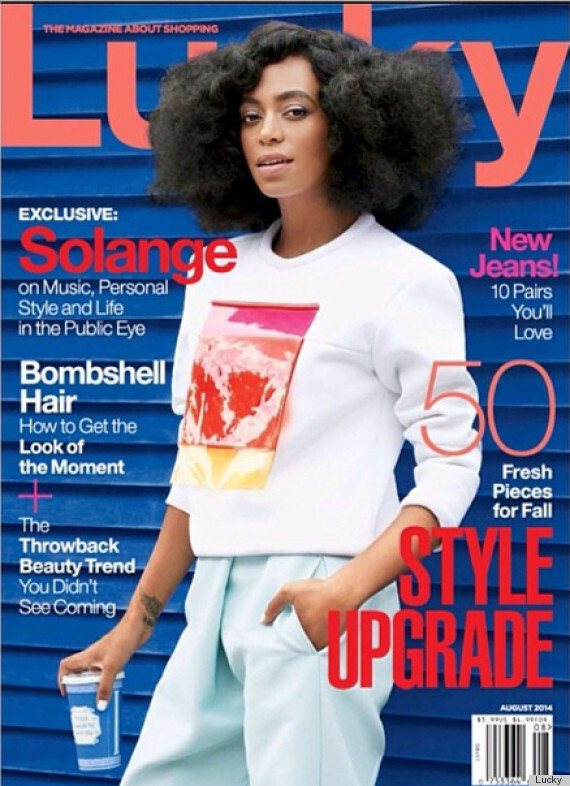 Check out Solange's lovely Lucky cover below and make sure to pick up an issue when it hits newsstands!